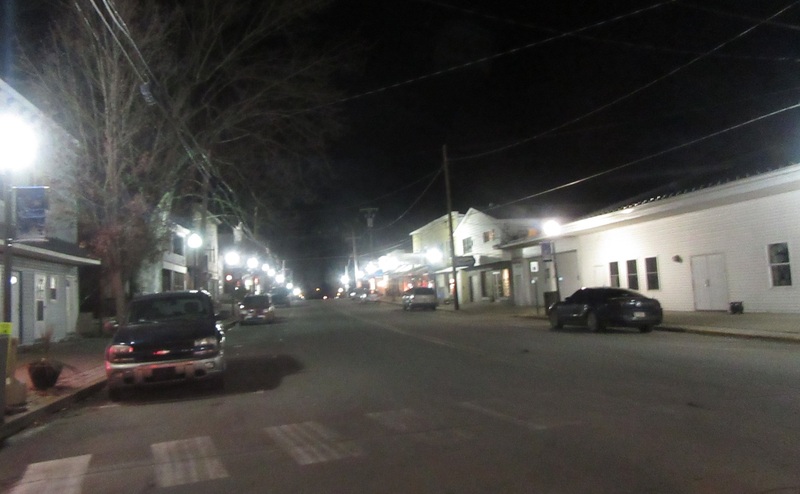 In a move that was hinted at last month, Laceyville Borough Council announced on Tuesday evening that the 2019 budget does not leave room for a police force. Kevin Costello was hired as an officer in 2016 and promoted to chief in 2017. As the sole law enforcement official in the borough, he worked for many months without a vehicle. A resident voiced concerns this past summer about the cost of retaining Costello relative to the need for a police force in light of declining population and the availability of state troopers to cover the borough. Ironically, the unusually wet weather of the past year might have been the deciding factor. Sidewalk repair, mowing, and leaf removal are a few tasks that Brigham suggested could be taken care of in-house if the borough had the right equipment. Brigham agreed that a new approach to using less private equipment and relying on contractors would save the borough money in the long run. “We have no other option,” he remarked. He is actively searching for a tractor with the attachments to meet the borough’s needs. “We’re trying to do what’s best for the citizens,” Fassett stated. As a side note, it was mentioned that the borough’s cost for insurance will decrease by $2,300 when the police department is suspended and coverage increased by 2.9 percent. Costello, who will work through the end of the year, presented his final police report, which noted 55 incidents. They included 14 responses to calls of suspicious vehicles, people, or activities; nine verbal warnings; three assists to other other law enforcement agencies during the November snow storm; five traffic citations; attending to a child locked in a car; and five pedestrian assists. Brigham expects the biggest costs in the coming year to be fixing drains at both ends of town and replacing the Franklin Street bridge, the combined totals for which could top $125,000. While the bridge was not initially deemed a priority when it was closed for being structurally deficient, it was discovered that it would cost just as much or more to dismantle than to replace. A grant application that could provide most of the funding is still under review. Also, potential natural gas industry development on Lacey Street in adjacent Braintrim Township and the temporary housing of a number of gas workers there could increase traffic in the borough dramatically. Brigham reported that he visited the Wyoming County commissioners two weeks ago to determine if any of the reported surplus of gas tax funds could be diverted to Laceyville. Commissioners Tom Henry and Judy Mead told him they were not yet sure how the money would be distributed. 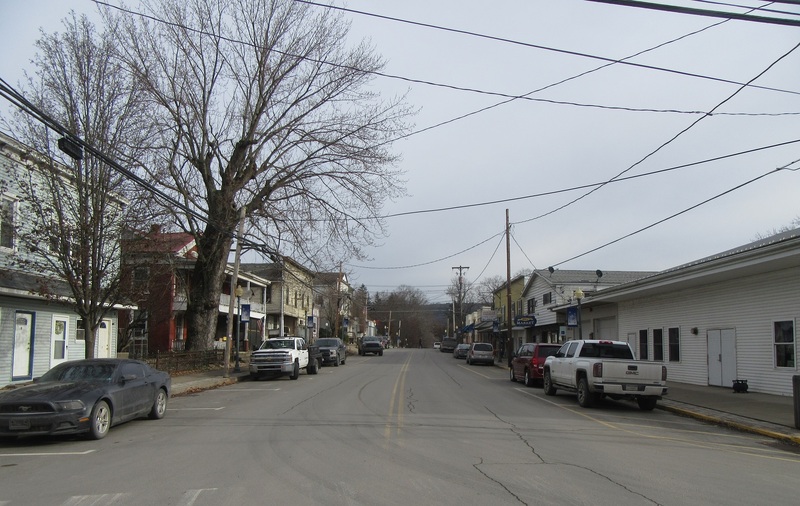 Brigham suggested to council that a combined effort between Laceyville and Braintrim Township officials, with help from the engineering firm that applied for the Franklin Street bridge grant, might be most effective in securing some funds. Water services coordinator Keith Pennay reported that a late filing of water test results with the PA DEP resulted in a monitoring violation of which the public needs to be notified. There are no problems with the water, he related, but the DEP requires the testing at specific times of the year based on relative water temperature. Brigham read a letter from the Laceyville Public Library board expressing concern over some potential maintenance issues at the same time that the library is enjoying a renaissance of sorts with new programming and reorganization. Brigham related that he and borough sewer services coordinator Jaye Butler looked over the library’s exterior, as well as some of the inside. They feel that the issues cited in the letter are minimal and can be addressed in the spring.